MARVIN Reader – The iBooks Killer? Isn’t it ironic that the environment of Apple OS, which is a closed loop, mostly hosts the apps made and crafted by outside entities? Most of these apps which are brought into this platform are coming because of the user acceptability. Users who based on the Android systems try to get their hands on iOS as well. Therefore, Apple systems have an innate responsibility to provide these apps. You can get almost every app which is present in Android, within iOS. Thereby, most of these apps, are tweaked to form compatibility towards iOS systems. But of course, there are some apps which are made exclusively for iOS and you cannot find them anywhere. Not even in Android. Thus, one of the best-known apps which are exclusively for iOS is Marvin Reader. Marvin, as you can see is something which is exclusive to iOS. Now when we imply that, you can be assured that, this app is something not compatible with others. You see, Android is not for us here. But what makes Marvin click? Before we dig deeper, you can say that Marvin is one of the cool, elegant and simple to use a reader which fits into iOS. Because of this reader, and within it, you will see a smoothness in reading which you never met before. This is to say that; Marvin Reader brings a certain ease of reading to Apple more than iBooks or any other. It’s packed with useful features for serious readers and students, plus some ingenious new ideas we’ve not seen in other e-book reading apps. What works against Marvin Reader is that it perhaps brings only support for ePub files and not many others. Kindle edges past it now. One of the coolest features of Marvin Reader is its ability to sync your books. Like literally anywhere on your iPhone, iPad or Apple devices, operating under one name. You see, when you register the devices under the same name, you get the sync on cloud feature within Marvin Reader. And it does a pretty good job of bringing everything to the same place. Kind of like Kindle, but a bit better than that. Kindle Whispersync works in the same manner, but that’s not really awesome when it comes to Apple devices. The major issue is that Kindle is no purely made for Apple iOS devices. Marvin is. 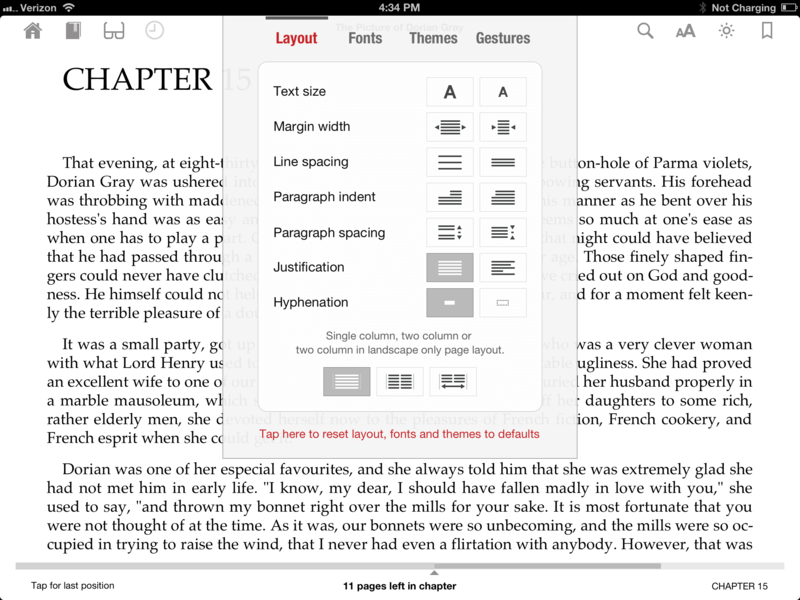 Therefore, it shines as not only a device based eBook reader but also a cloud-based app. And you don’t have to worry about loading books into it every now and then. Once the app scans for all the books, you can just pick what you want to read. Adding books into Marvin Reader is super easy as well when it goes from the load to read, or just the plain old drag and drop options. You might think iBooks is already available with iOS, and it does the same thing. Well, in that context, Apple’s own iBooks app can open ePub files too, but not with the same sophistication as Marvin. Getting files into Marvin is made much simpler by the addition of a Dropbox link. If you already have a Dropbox account and the Dropbox app on your iPad inking Marvin to it is trivially simple, and only requires a couple of taps. If you are someone who likes to auto update the books into your Marvin bookshelf, you can always use the auto-scan and auto-add feature available from within the Reader. Now that’s where it shines. When we say native, we mean it. Marvin is a proud little app, which is touted to be pretty much the most powerful eBook and comic book reader for iOS. 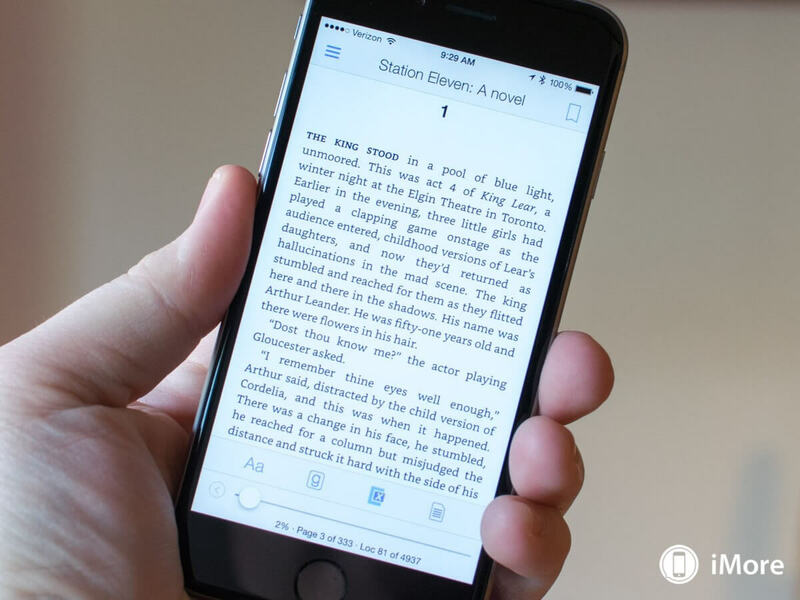 Refined by years of reader feedback and suggestions, version 3 is the sequel to the acclaimed eBook reader for iPhone and iPad. The features of Marvin Reader shine through based on this very idea. It practically gets all the support it needs from native iOS. All these are updated and made into a great presentation all together. Also, this is possible because Marvin Reader is made and built from the scratch basing its code on the iOS 9 platform. You can be sure that for devices running iOS 6 and above, Marvin is a great app to have. Nothing beats it. And when you use it on iOS 9, you can be super sure that it’ll perform at the maximum. That is what we say is the defining feature of Marvin Reader. 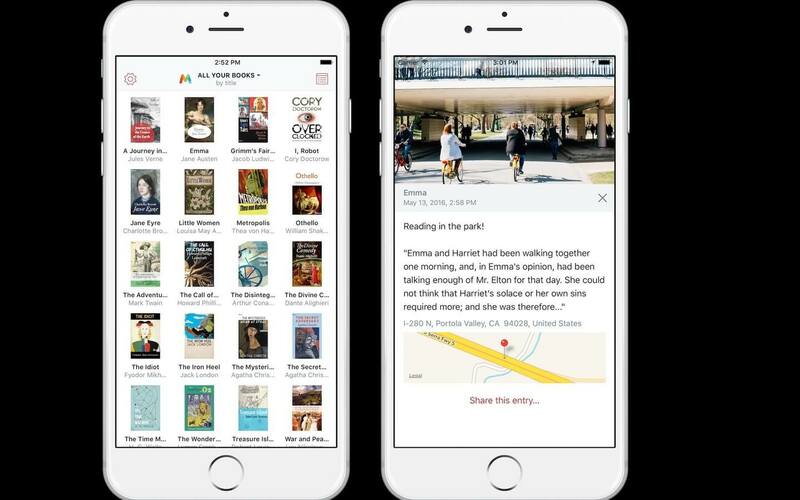 With future updates, Marvin reader will surely become one of the easiest and incredible reading apps ever to come out on iOS platform for reading books on Apple. Also, you can be assured that Marvin Reader supports open DRM-free eBooks which make for a fabulous library of books. Yes, we do understand that Mobi is an important format to have in this day. But, for that you’ve got Kindle However before we jump the gun, makers of Marvin are saying that, with future upgrades and updates, they will be supporting the Mobi/PDF versions of eBooks as well. This will truly become one of the biggest selling points of Marvin Readers going forward in the future. A wide variety of fonts are available, both serif and sans serif, including the Open Dyslexic font that Amazon only recently added to the Kindle. There are formatting options for adjusting font size, margin width, line spacing, depth of paragraph indent, paragraph spacing, full or left justification, and even enabling or disabling hyphenation. In addition to the above inputs, Marvin Reader brings some more user related tweaks which are both exciting and effective. Exciting as they are a bit of good mix of innovation and intuitive qualities. Effective is because they deliver on the promise they set out to be. You can use these features to truly enhance your reading experience. On that note, Themes are a major part of features set in Marvin. Of course, in the usual sense, Marvin Classic app comes with the classic, no nonsense sort of reading experience, but the latest updates change it. They come with what Marvin calls it, “A Publisher Switch” which brings a classic twist to the tale. You see once you press the button, the reader reverts back to the origin, and brings back fond memories of reading. It removes all the post formatting and shows you the book as it was originally formatted. Now that’s a neat little feature, for readers who want to read Classic books, Marvin Classic is the way to bliss. But that’s not the only thing that makes Marvin an exciting app. I mean, come on, it’s Apple. It needs to do more than just be ok looking good. There are three colour themes available—normal, night, and “other”—and these themes can be customised by setting the foreground colour and the background colour or pattern of your choice. If you want burgundy foreground text on an electric blue background, you just have to scroll the text colour and background colour/texture listing up until you find what you want and tap on it. The reading process is simple. Just as with the Kindle, you tap on the right side of the screen to page forward, or on the left to page back. We saw above, that Gesture controls become one of the coolest features of the eBook reader. Though you can change that under the “Gestures” controls if you want. However, we’d say, Gestures are a nice way of going about doing things as they are meant to be. Tapping in the middle brings up the top and bottom status bars. By this, we mean that you can control what to read and how to read your ebook every single time. By default, you only get one column of text in either portrait or landscape, but there’s a configuration option to change it to two columns in the landscape, or even two columns in portrait and landscape. You have to rotate the screen before the changes take effect. Page turns are swift and responsive, the text is clear and easy to read, and the myriad of font and formatting options. Now you can get down to reading, and what a pleasure it is. Marvin provides an excellent range of fonts, page widths, colour themes and warmth settings. You can spend a long time fiddling around to make Marvin as comfortable as possible to use on your device and in prevailing natural light conditions. What’s more, if the light changes while you’re reading, just swipe up or down with two fingers to adjust the brightness on the fly. That’s just the tip of Marvin’s iceberg of features. There are much more hidden away inside. Once it has “read” a book for you, it can also seek out relevant information about it online, taking you to articles and reviews about the book. View these in a browser, and if you like, save them as pinned annotations to the book itself, so that they’ll always be available when you’re reading it. Full support for all the latest iOS devices including iPhone 6s, 6s Plus, and iPad Pro. User supportive, Touch ID and startup password, for extra security and responsiveness. External Bluetooth keyboard and remote control support including customizable key commands for in-book navigation and control. Virtually unlimited combinations of text, background colours and page textures. Virtually unlimited combinations of text, background colours and page textures. You know read as you want scenario. Reading statistics and Reading session time reports. Wake up calls with integrated, Morning and evening reading reminders. Six, optional, app UI colour themes. Customisable external web browser, including in-app Safari with readability mode and content-blocker support. Multi-column supports on compatible devices, including 3-column landscape on iPad. Publisher layouts and embedded fonts. Custom text menu commands configured on a device can be air-dropped or sent to another device. Full book search, with results exportable to PDF. Never miss out on those wonderful quotes you to find somewhere in some book. Virtually all the content you see, create and find can be exported and shared. Create and reorder unlimited custom commands with presets to integrate with Google Maps, Bing Images, Tweetbot, IMDb, Lingvo, Goodreads, Facebook, Wikipedia, the Merriam-Webster dictionary, and more. Customisable reading speeds up to 720 words per minute flash reading capacity. Swipe left and right in any text field to move the cursor/caret. In-app help in settings, book, and comic screens to explain each setting available. Integrated undo/redo location tracking. Natively supports CBR and CBZ comics. Pinch to zoom, and zig-zag viewing modes. Customisable and automatic matte colours. Supports warmth, extra dimming, and image tinting. Image sharpening, contrast, and exposure corrections. Artificial intelligence that reads your books and helps you discover great things about them, their authors, characters, places, events, and everything else (English only). That was one of the few wonderful features which make reading an absolute pleasure, Check out your iTunes stores to find the perfect book reading companion, Marvin into your system right away. And also bring the Marvin Classic mode to means something.